Cameroon a country of some 475,000 square kilometres is fondly called “Africa in miniature” as it hosts over 90% Africa’s ecological systems. The country rangs 5th for fauna and 4th for flora diversity in Africa. 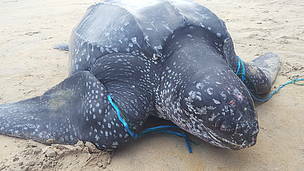 It harbours 409 species of mammals, 183 species of reptiles, 849 species of birds, 190 species of amphibians and over 9000 plant species. Nine ecoregions host this rich biodiversity: Atlantic Equatorial Coastal Forest; Central Africa Mangroves; Northern Congolian forest – savannah mosaic; North Western Congolian lowland Forest; Eastern Sudanian Savannah; and Sub-Sahelian Grassland Savannah. The Cross-Sanaga-Bioko Coastal Forest; Mt. 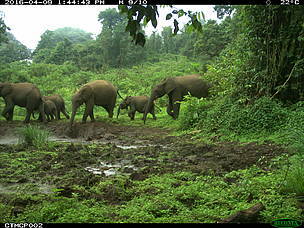 Cameroon and Bioko Montane Forest and Cameroon Highlands Forest are part of the West Africa biodiversity hotspots. Besides DRC and Congo, Cameroon host the largest portion of the Congo Basin, which holds over 15% of the world’s remaining tropical forests. The country hosts significant population of flagship and threatened species such as elephants and great apes, pangolins, big cats (lions, leopards), … Cameroon therefore contributes in critical ways to the global priorities of the Congo Basin forests and flagship species. 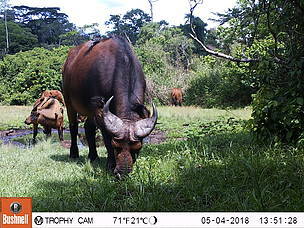 This confirms WWF Cameroon Programme Office (WWF CCPO) vision, which is “a future with healthy ecosystems and thriving biodiversity supporting people and driving sustainable development in Cameroon”. 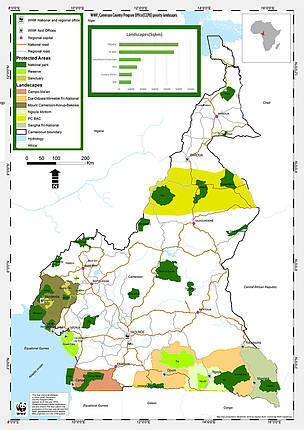 Cameroon is endowed with significant natural resources. Principal economic crops include banana, cocoa, coffee, rubber, tobacco, and cotton. Petroleum products contribute to about 50% of the Cameroon’s export earnings. Partly on the strength of her natural resources, government (in her medium-term development plan, the Growth and Employment Strategy Document (GESP)) fixed the objective of reducing poverty to a socially acceptable level, becoming a middle-income and newly industrialised country. Growth is projected at 6.1% by 2020. There is a strong drive towards large scale infrastructure development (hydro-power dams, roads, and railway) and extractive investment (mining, large scale agriculture) to power the economic growth. Bilateral and multi-lateral cooperation support through Overseas Development Assistance (ODAs) and loans averages 5% but an important opportunity for influencing green growth. However, economic growth over the last decade that averaged 4% has been still too low to make a serious impact on poverty reduction. Poverty decreased from 40% in 2001 to 37.5% in 2014, mostly due to a decline in urban poverty from 18% in 2001 to an estimated 9% in 2014. In contrast, the percentage of poor people in the CCPO programme areas increased from 52% in 2001 to 56.8% in 2014. Indeed, human development is low. The 2016 UNDP Human Development Index (HDI) was 0.518, positioning the country in the low human development category at rank 153 out of 188 countries. The 2015 joint International Monetary Fund-World Bank Debt Sustainability Analysis revealed that Cameroon’s risk of external debt distress moved from moderate risk in 2014 to high risk in 2015. In addition, Cameroon suffers from weak governance, which affects the country’s development and ability to attract investments. Cameroon ranks 145 out of 176 countries in the 2016 Transparency International corruption perceptions index and 166 out of 190 economies in the 2017 Doing Business report. 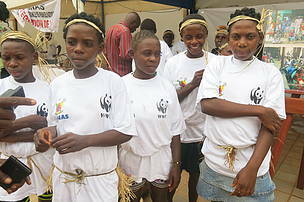 WWF is present in Cameroon since 1990, thus 27 years of functioning. WWF CCPO currently present in 5 landscapes with several thematic scope of work.